Because if we were, the answer for me is always 2. Mmmmmmm, Pasta. But since we are talking about sink bowls, the answer is a little more involved. 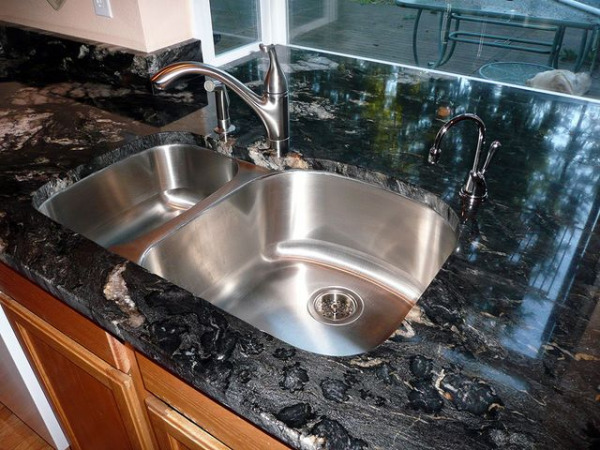 Most commonly, we see single or double bowl sinks. 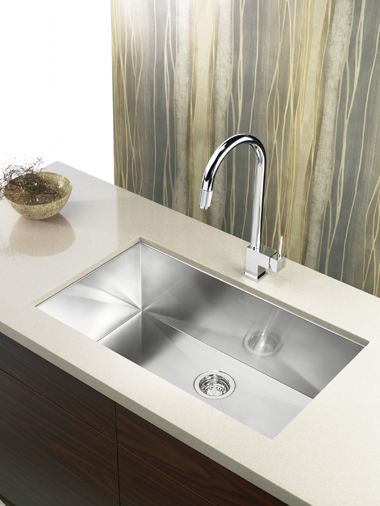 There are some 3 bowl sinks available, but the selection is relatively small. ONE BOWL: They are usually larger sinks that fits large pots and baking sheets. TWO BOWLS: If someone would like to install a garbage disposal, it might be nice to have a little bowl dedicated to that in addition to a large bowl. Some people like to put the dish drainer directly into a bowl and use the other bowl for washing dishes. My mom like 2 bowls because one is for washing with dish detergent and the second one is for rinsing. THREE BOWLS: People may want to dedicate one small bowl to garbage disposal, and have two large bowls, one for accumulating dirty dishes and one for prepping food, which would come in handy for large dinner parties. If we are looking at current design trends, Single bowls are the way to go. 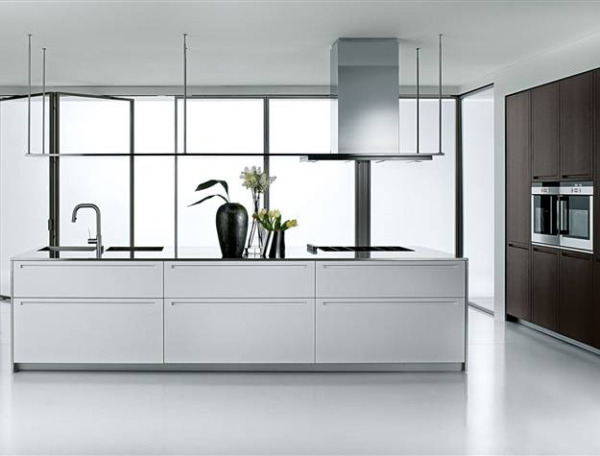 Large rectangular ones like Blanco’s Precision U Maxi are very design forward. 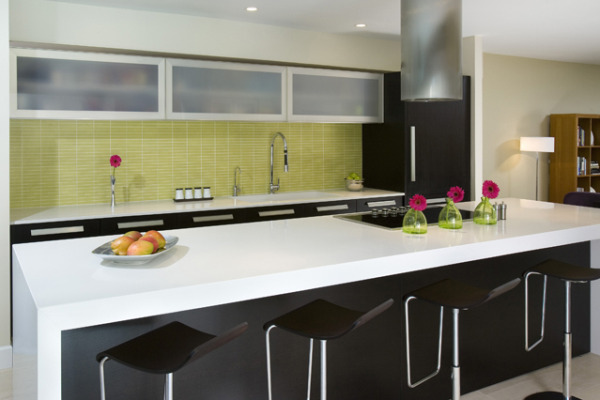 This look is in line with the clean, minimalistic trend seen in today’s kitchen and bath designs. 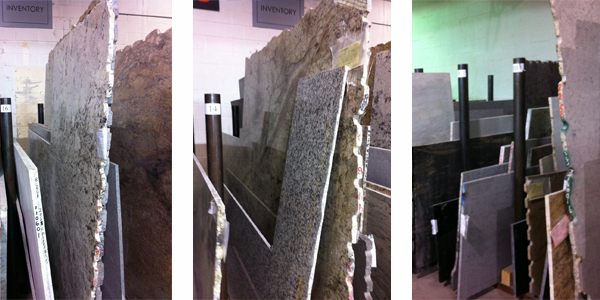 Appliances are hidden, Countertop thickness (see my blog on What’s “In” in Counter Top Thicknesses), handles, etc. 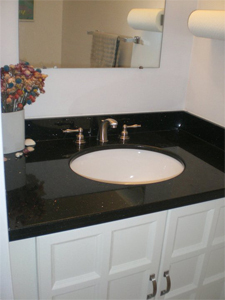 are minimized and now, so is the look of the sink. 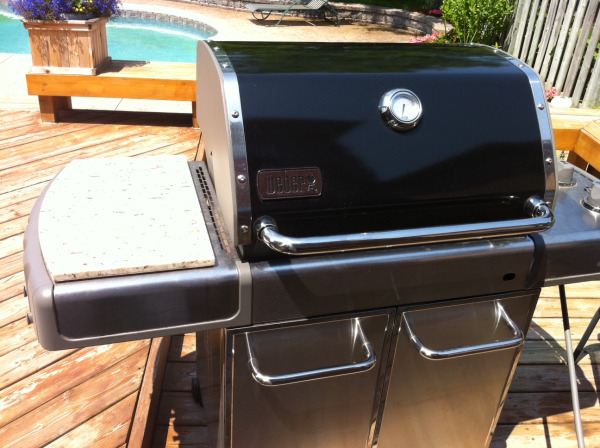 In the end, It comes down to functionality and how you like to wash your dishes. Do you have a dishwasher and like a large single bowl to wash the pots that you can’t put in the dishwasher? Are you the type, like my mom that likes to have one bowl for washing and one for rinsing? Some people believe that they tend let dishes pile up if they have double bowl sinks since they still have a bowl to use and a single bowl sink forces them to wash the dishes every day. The one or two sink decision also depends on a lot of what you are used to. 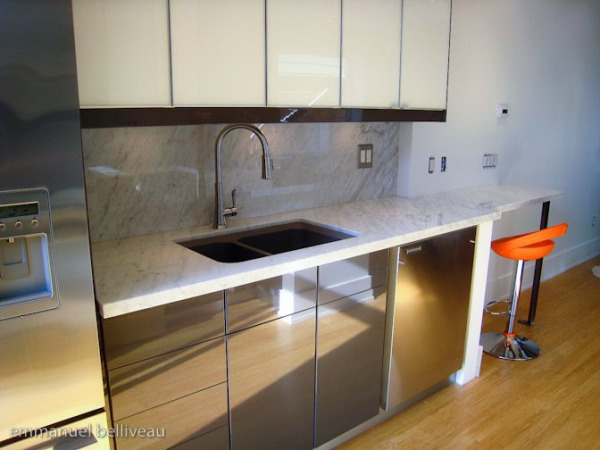 When I went from a double sink to a single sink kitchen, I had to almost relearn how to wash dishes. Then going back to a double sink, I found that I was only using one sink, and still used a bowl of soapy water on the counter top. Now, since I have experience in both single and double bowl sinks, I would make the choice according to functionality and look. Do you have a lot pot and pans? Do you bake a lot? Do you have a dishwasher? I bake a lot, and hate washing cooking sheets in double bowl sinks. I also have a big slow cooker and when I have to immerse in water, I can’t do it in a sink. So for look and functionality, I would go for something like the Blanco Radius 10 U Maxi. 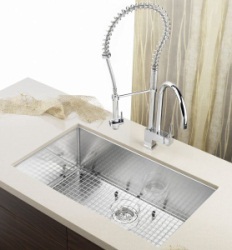 It’s big, stylish and the corners of the sink are rounded for easy cleaning. Food would tend to get caught in tight corners. This is a common question I hear as couples are discussion options in our showroom. Often a couple will come in and one person doesn't want to change while the other person does. There are a couple of easy answers that come to mind. It's no secret that the best way to increase your home's value is to rennovate the kitchen and/or bathroom. 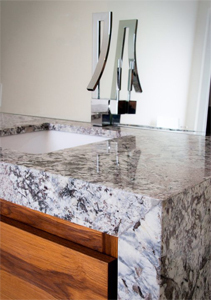 Since getting a facelift on your cabinets is so inexpensive these days it's an excellent time to put in a countertop with a wow factor. 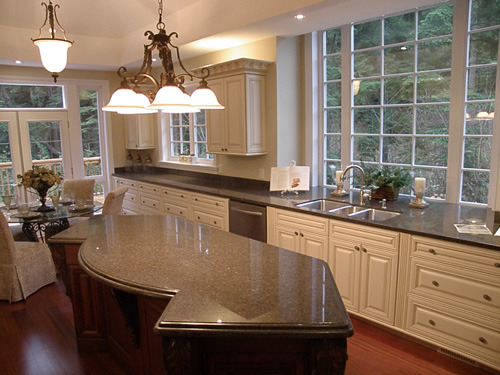 One of the first things people notice when viewing a house is how great a nice kitchen can look. 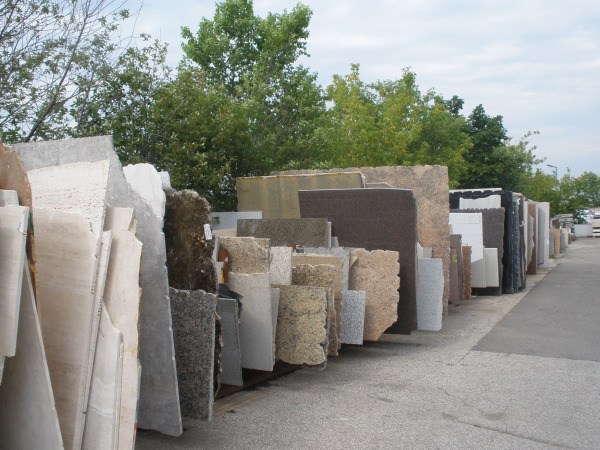 The type of customer working to increase the value of their home will typically go for one of our sale granites. They look great and are quite inexpensive. They will typically pick a colour that blends in very well and won't offend any potential buyers because everything matches perfectly. Let me elaborate: When you buy a house that you know you're going to live in for some time it is important that it looks the way you want it to. The previous owner may have had different tastes and since you're going to spend the next 10-20 years there, it's a great opportunity to create a space that you enjoy coming home to every day. 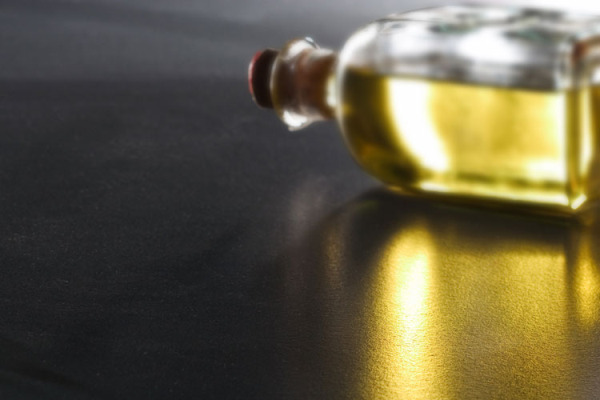 These types of customers will typically pick something more exotic that is suited to their specific tastes. Which answer is correct? I guess it depends on which picture you like the best.